Choosing a roof tile with the right surface finish is crucial to the finished appearance of the roof and how it will look in the future. 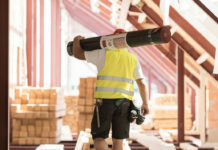 It is important for roofing contractors to understand why manufacturers use certain surface finish treatments on clay and concrete tiles, and how this affects the aesthetics and performance of the product in the short and long term. 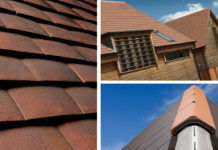 The beauty of natural clay tiles lies in the way which they retain the natural colour of the clay material before maturing to a darker, richer shade. The degree to which this occurs and the rapidity with which any changes takes place depends upon two factors. The first is the nature of the tile itself, and the second is the environment in which it is laid. Machine-made tiles are extremely dense and durable, so water flows off them very easily. Accumulations of extraneous material are slow to take hold and the appearance of the tile is slow to change. The colour of the tile will not fade under any circumstances and the slow change that does take place will be a steady darkening of colour. 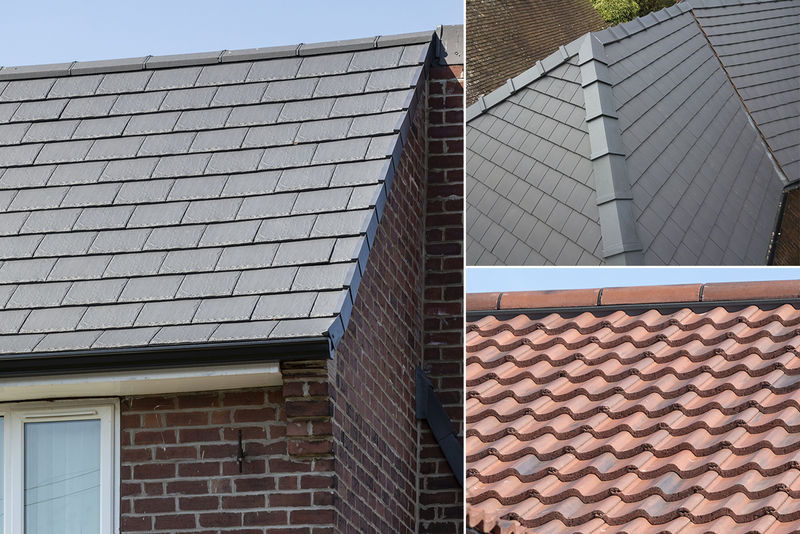 Due to the nature of the clay tile production process, slight colour variations are to be expected and actually in many cases enhance the look of the finished roof. We advise not to mix tiles from different batches on the roof and to achieve the best effect tiles should be taken from several pallets and mixed at random. Some clay tile colours are achieved by applying an “engobe” to the surface of the tile prior to firing in the kiln. An engobe is a ceramic slip coating consisting of 45-90% clay, 10-40% Frits (glass) and 1-15% manganese oxides. The glass content produces a strong, vitrified scratch-resistant surface, whilst the manganese oxides give the required colour. The clay content means that when the tile is fired, the engobe and the tile ‘fuse’ together and become one, meaning that the coloured coating is as durable as the tile. The majority of concrete roof tiles manufactured around the world are surface treated. This protects the tile during the early, critical stages of the product’s life. All concrete tiles are coloured to give them the appropriate appearance and unlike clay tiles, this colour will eventually fade over time. However, manufacturers can take measures to ensure that their concrete tiles are colour-fast, such as adding colour throughout body of the tile as well as its surface, then adding an acrylic coating. This treatment of concrete tiles has a host of benefits such as enhancing the intensity of the tile colours, prolonging the life of the pigment-rich tile surface and protecting it from rain water erosion. By adding colour to these products, manufacturers can ensure that the colour is consistent between product batches of tiles and fittings. 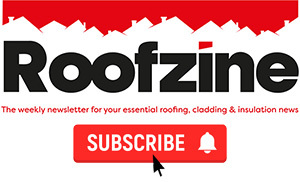 Protective coatings for concrete roof tiles also minimise dust, dirt, lichen/moss contamination, the risk of efflorescence and the effect of scuffing during handling and transportation. Although quite rare, efflorescence is a naturally occurring phenomenon caused by rainwater, condensation or dew penetrating into the pores of concrete. This carries calcium hydroxide, otherwise known as lime, to the outer surface. The water then evaporates, leaving a white film or bloom. The same chemical process which brings the lime to the surface of a tile carries on, enabling it to be degraded and washed away by the rain, so that eventually the efflorescence disappears by itself – usually in a matter of months. If it is considered necessary to remove the efflorescence without waiting for natural weathering to take its course, then a suitable proprietary hydrochloric acid solution can be applied to the affected area. Sandtoft treat the surface of all their concrete tiles with acrylic polymer coatings to not only minimise the formation of efflorescence, but to give stronger and longer lasting colours. If efflorescence does appear, it has no detrimental effect on the long-term performance of the tile. 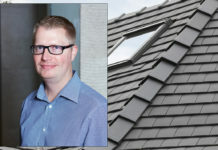 In summary, manufacturers take measures to make sure that their clay and concrete roof tiles have a protective and aesthetically pleasing surface finish, so a new roof will look fantastic as soon as it is installed and for many years to come.